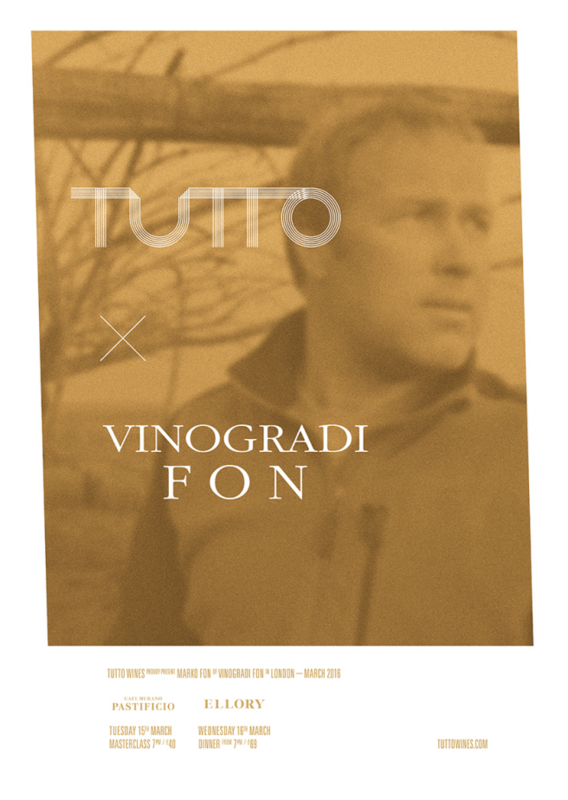 Marko Fon is perhaps the most underrated winemaker we work with. He is a guy who for us typifies what it means to be a true vigneron, displaying as much respect, love and dedication to the land he farms as any grower we have met. His expressions of local grapes Malvazija, Vitovska and Teran provide an almost literal translation of the landscape upon which they are grown, they are wines with a true sense of place. Marko is also an incredibly captivating, articulate guy and we cannot wait to welcome him to London for the first time. Marko has just a few hectares of vines dotted around the Slovenian Carso, or Kras as they call it here. They are spread over remote parcels with a focus on old vineyards, some of which are 100 years of age. He speaks with intensity and conviction about this beautiful, yet harsh landscape, where just a few centimetres of red dirt sit between the plants and the ancient plateau of fossilised limestone below. The Kras is a windy, wild place that provides a daunting landscape for all but the bravest of farmers, but for a dedicated few, reward comes in the form of pure, vibrant and thrillingly unique wines that have a wonderful ability to age. We hope can join Marko to hear his story and share his wines at one of the following events. We cannot think of another grower in our portfolio more suited to offer a masterclass on a region than Marko, such is his passion for his native Karst. Guests will meet Marko over aperitivo before sitting down for his guided tour of this remarkable landscape, it’s history, vineyards and the people who tend them. Guests will enjoy salumi and cheese and the following wines. The following day, Marko will host a dinner at Ellory in East London pairing his wines with a meal cooked by Matthew Young. Marko’s wines have been a mainstay on the list at Ellory since they opened and their crisp, clear and delicate nature have a natural affinity with Matthew’s cooking. It promises to a be a wonderful night of food and wine, with Marko on hand to guide you through the stories behind and nuances of each glass.